eBay is "extremely delighted" by the results of its managed payments rollout which is in its initial phase, according to eBay's seller advocate Jim "Griff" Griffith. In a post on Facebook meant to reassure sellers nervous about enrolling in the program, he wrote, "All of us here (and yes, I have seen the numbers) are extremely delighted by the results so far." Griffith was reassuring sellers that it was easy for buyers to pay from sellers enrolled in managed payments (MP). "There's been a lot of consternation among sellers about joining a program at this phase when the historical payment processer-of-choice (PayPal) is not provided as an option," he wrote. He went on to describe how easy it was for him to make purchases from sellers enrolled in MP using a credit card instead of his PayPal account. One seller who has provided a testimonial for managed payments on the eBay website defended the program, but acknowledged, "If a buyer really doesn't want to enter CC info, there are 350k-500k other sellers (who aren't enrolled in the managed payments program) they can buy from." Not exactly reassuring to those thinking of enrolling in MP. Griffith wrote, "As you may know, PayPal is not a part of the initial release (it's a long story), though they will be added in 2019." Many would like to hear that long story - eBay has never said why it won't accept PayPal in MP until next year. While sellers are concerned that buyers may turn away if they can't pay with PayPal, that's far from their only concern - we've detailed in previous coverage numerous shortcomings of the program in its initial phase. Griffith also wrote, "eBay is the ONLY marketplace - the only online retail outlet in fact - that does not manage its own payments." "eBay's seller advocate Jim "Griff" Griffith"
PLEASE stop calling him "seller advocate". I don't know what he is, but he is not a seller advocate. He must know where the bodies are buried because quite frankly I don't know why they keep him around. Sorry sellers who are MP, if I can find a substitute that still takes paypal, I'm buying from them. Well now - if they took trouble to wake up THE seller 'advocate' to say so, it MUST be the bees knees. After all, he's ''seen the numbers'' and knows the ''long story''. No further explanation needed. See, eBay is NOT ''in fact'', an ''online retail outlet'', despite all the spit, polish, 'restless experimenting' and desperate dashboading they've done trying to be one. It is Not. Their. Inventory. eBay fulfills exactly zero purchases. Buyers buy USING eBay, not from eBay. And they are doing so less and less with every buyer who has been told for over a decade that Pay Pal is the ONLY 'safe and trusted' method to pay, so buyers DON'T have to input a CC number for every seperate purchase, and now can't do it - until who knows when. Er...except maybe those who have read the story. Certainly nobody who has actually lived the story knows, or can be assured by the 'promises' eBay so cavalierly makes. Riddle me this Uncle G. How can what is essentially a 2.5% increase in fees for every MP sale, NOT be extremely delightful....for eBay? He's the one who told me PayPal would not be a problem, when they first came on board. Then, I promptly quit Ebay. Now, he's seen it come full circle. But I won't be coming back to Ebay 'til they lower the take rate back down to 2001 levels. I don't feel very advocated for by Griff the Graft. I looked it up, just to make sure. *sigh* when is eBay going to get that their entire success was based around being DIFFERENT. "he was an untiring advocate of economic reform"
a person who pleads on someone else's behalf. "care managers can become advocates for their clients"
a pleader in a court of law; a lawyer. "Marshall was a skilled advocate but a mediocre judge"
Sorry, but eBay is NOT the only online marketplace that doesn't manage it's own payments. Delcampe is still like eBay was years ago and stays out of the way letting buyers and sellers do their own thing. When PayPal is accepted, I'll opt in, not a minute before. Ebay is extremely happy with the managed payments roll out. "How can what is essentially a 2.5% increase in fees for every MP sale, NOT be extremely delightful....for eBay? " Bingo! Money is the only thing that delights them. He also doesn’t mention the little problem with their “discount codes.” You cannot purchase using Ebay’s discount code when purchasing both items from sellers who only accept Paypal and with items from sellers who are enrolled in Ebay’s Managed payments. Since the code is only good for one use, what do you do? Simple, remove the item from the seller who accepts managed payments and find one who accepts paypal. 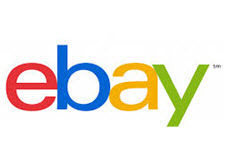 It cost at least one seller a $30 sale with Ebay’s last promotion. Ebay isn’t going to share this information with you. They are never up front about their glitches. @Rexford – You are so right! He is not a seller advocate. What a ludicrous title! Look. Just tell us in plain talk why you're 'excited.' Give us some stats to back up your claims. Then sellers will listen. Until then, it is just more unicorn scripted words like usual. So for us it's trust tell me who trust eBay just who? I know at least one seller who lost a sale because he did not take Paypal. I experienced first hand what happens. I was shopping on eBay and was all set to buy until I noticed the seller did not take Paypal. Regretfully, I had to back out and use another seller for the same item. This is what stupid stupid eBay is doing to its sellers. Why they had to initiate a new form of paying and omit what is perhaps the most common form of payment is beyond stupid...i just don't have a word to adequately describe it! I don't want to hear their weak lame-brained excuse that it will come at a later date...its STUPID! "Paypal is the quickest and safest way to pay for an eBay item". Was he lieing then? Is he lieing NOW? 35. Eliminate the roadblocks to selling your products. If a buyer wants to use PayPal to buy your product and you can't accept a PayPal payment, that's a problem. It's a roadblock to selling your item, making a profit and moving on to the next sale. "How can what is essentially a 2.5% increase in fees for every MP sale, NOT be extremely delightful....for eBay?" I'm not sure where you get this from. There is no increase in fees for those that use MP vs those that are not in MP. Where is this additional 2.5% fee coming from? Those using PP are charged 2.9% plus a 30 cent transaction fee. MP offers a fee DECREASE in money processing. I'm not defending the program, as I too do not like it in it's current form, but saying there is a fee increase is incorrect. I think that what is meant is that eBay now collects the fee that Paypal would have collected had a payment been made through Paypal. So, yes, eBay is earning more fees, just not (so far) with an accompanying charge to the seller. Well they are a for profit company. I don't see why it would be an issue if Ebay makes more money while saving seller's money. To me on this specific comment, that is a win win situation. One of the biggest reasons I still sell on eBay is because PayPal gives me access to my money as soon as a payment by the buyer is made. No holds. If you take that away I will not be happy and that's what it sounds like is going to happen. Sounds like a money grab and hold by eBay. Also, eBay has not had the best track record on website security.